Being home to the Windy City, Illinois has a fair number of firearms laws you’ll need to follow if you want to be able to buy a gun. Fortunately, we’ve got all the info you’ll need to be a law-abiding gun owner in the Prairie State! While Illinois does not have the strictest gun laws in the nation, purchasing and owning a firearm is not as simple as strolling into your local gun shop and picking one up either. 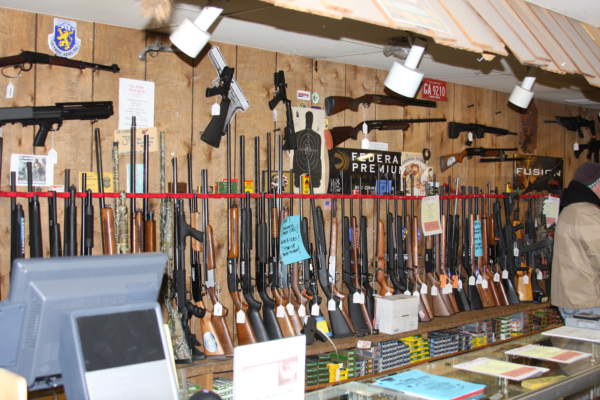 Before we even dive into the nitty- gritty details of buying a firearm, you’ll want to keep in mind that if all you want to buy are antique firearms, you won’t need to worry about any of the hoops that everyone else will have to jump through. You’ll need to make sure the gun you want to buy actually qualifies as an antique though, before you run off to buy it. Any firearm using fixed ammunition manufactured before 1899, where the ammunition is no longer made in the US and is not readily available in normal markets. Even if the gun you want to buy falls under either of those definitions, you’ll still want to check with the Department of State Police to make sure it is not viewed as a weapon, but instead just a collector’s item. Once you get the go-ahead, then you can buy the firearm just like you would any other item from your local Walmart! To even be allowed to buy a gun or ammunition, you’ll need to get a Firearm Owners Identification (FOID) Card. This is required for both handguns and long guns, and ever tasers and stun guns! If you don’t meet the age requirement, you can still qualify for a FOID if you have a parent or guardian sponsor your application, as long as the sponsor is also qualified for a FOID. It’s a long list, so you’ll want to make sure you don’t fall into any of those categories, or you’ll be spending a lot of time and money for something you’ll be denied anyway! If you meet all the requirements, you can send in your application, and within about 30 days, you’ll have a response, either in the form of an FOID, or a denial letter. If you were denied, then make sure you check the letter to see what the reason was. Typically it’s because some information was left out, but it can also be an issue with your criminal record during the background check. If you want to appeal the decision on a denial of your FOID application, you’ll need to send the appeal to the Director of the Illinois State Police, and hopefully provide any missing information or fix whatever issues you had on your application. Once all your FOID application issues are resolved, or if you never had any issues with it in the first place, you should have a FOID in hand! You’ll need to renew it every 10 years. While not really a loophole, there are situations where a FOID is not required. Of course, you’ll always need a FOID in order to buy a gun, but you may be able to possess and use a firearm in certain situations without a FOID. If you aren’t sure about buying a gun yet, you can always go with one of your friends to the range first. A person with a FOID card can loan a gun to a person who does not have a FOID card, as long as the gun is used at the range, and under the supervision of the FOID card owner. A person who is qualified for an FOID card and is on a shooting range or participating in a firearms safety and training course, while under the direct supervision of a FOID card holder who is 21 or older. For those of you under 18, you do not need to have a FOID in order to have a firearm or ammunition, if you are under the immediate control and supervision of a parent, guardian, or other person acting in the place of a parent, who has a valid FOID. Be nice to your parents and maybe they’ll take you out to the range! So what is involved in actually buying a handgun? Once you get that FOID card, there isn’t too much more you’ll actually have to do to get a handgun. 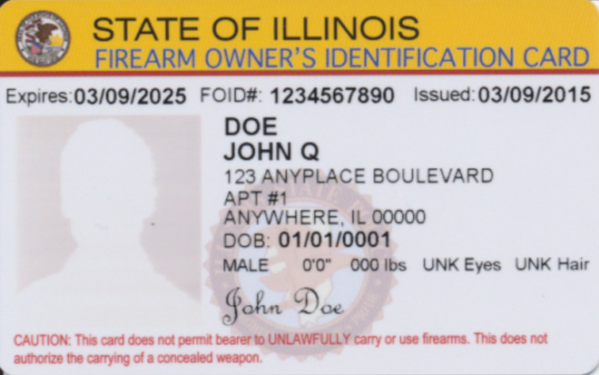 Provide a Firearm Owners Identification Card (FOID). And if you think you can save some time by buying from a private seller, think again! A private seller is required to check your FOID card to make sure it’s valid, and you’ll have to go through a background check at your your local gun store anyway. The only real reason to buy from a private seller is if you can get a good deal, or if you want a particular type of gun. Regardless of whether you are buying your handgun from a licensed dealer or from a private seller, you’ll need to wait 72 hours from the time of the actual gun sale, to when you can pick up the gun and take it home. Once you’ve gone through the gauntlet of getting the FOID card, buying a long gun isn’t much different from buying a handgun. Just like with handguns, you will need to have a background check performed even if you decide to buy from a private seller, so you aren’t really saving any time or money this way. The main difference between buying a long gun compared to a handgun is that you only need to wait 24 hours after you pay for the long gun, before you can take it home. Once you get your guns, you’ll probably want to show them off. You did just go through the hassle of being qualified to buy them and had to wait a couple of days. Unfortunately, openly carrying firearms is not allowed in Illinois. Carrying a concealed handgun is allowed, but requires a permit. Are not immediately accessible (i.e. in the trunk of the car). Outside of those specific situations, you’ll need to have a permit to even have your firearms on you. If that sounds a little unreasonable, or you just want to be able to carry a concealed handgun on you to defend yourself, then be sure to check out our Illinois CCW page after you wrap up here. If you aren’t sure, just leave it in the trunk. Because a FOID card is needed for buying and owning ammunition in addition to firearms, it should not be a surprise there are some restrictions on the type of ammo you can buy in the state. Beyond those types of mmo, you also cannot buy or own any tear gas, tear gas guns, bombs, or any other type of non-lethal liquid gas or similar substance, except for one used for self-defense. Pepper spray or mace is ok to carry for self-defense, but anything else is essentially off limits. 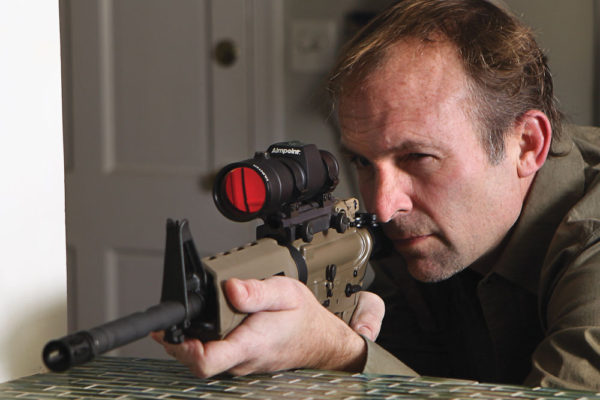 Aside from practicing at the shooting range, you hopefully will never need to fire your guns. If you are ever faced with a deadly threat to yourself or others, however, Illinois does allow for use of deadly force in self-defense. Under what is commonly known as the “Castle Doctrine”, you can defend yourself with deadly force if you or a loved one is threatened while at home. Specifically, you are justified in using deadly force, if you reasonably believe that deadly force is necessary to prevent someone from committing a felony in your house, or an assault or violent act against you or another person in your house. Unlike defending your home, Illinois does not specifically have any laws on using deadly force to defend yourself while out and about. The law does, in general, say that you are justified in using deadly force to defend yourself if necessary. It’ll be up to you to decide if it is better to use deadly force or to run away if you face a threat while outside of your home. Of course, even with all these laws on self-defense, you should always use your best judgement to decide what type of force is appropriate. Just because you are allowed to use deadly force doesn’t mean you have to. Taking any life is always a serious decision, and may not always be necessary in order to end a threat to you and your loved ones. And on that happy note, we’re done! 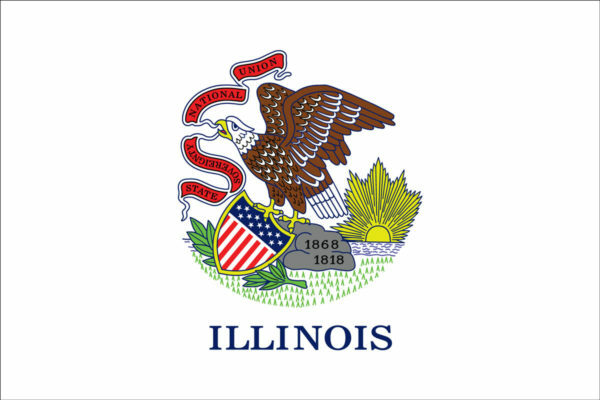 You now know everything there is to know about gun laws in Illinois! Well, except for the concealed carry laws. But we’ve got got you covered with our Illinois CCW page, so go check it out! 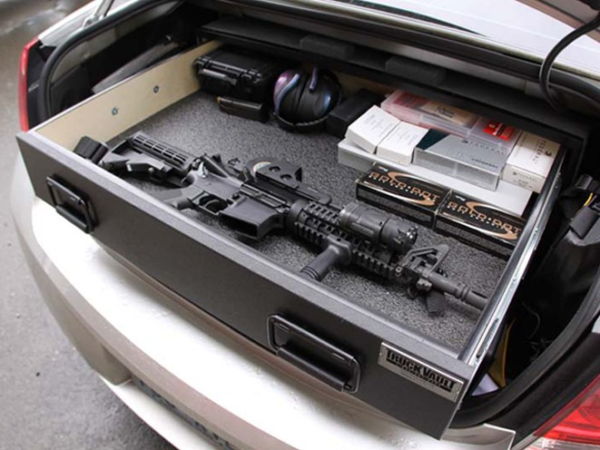 If you want to start smaller (for some reason), a gun cabinet, or even just a decent handgun safe may be a good investment. Now go out and pew pew!